Kanye West is no stranger to controversy, from his Grammy snub outbursts, interrupting Taylor Swift, Dissing JT's Suit & Tie and now the soon to father has come under scrutiny over the name of his next studio album. 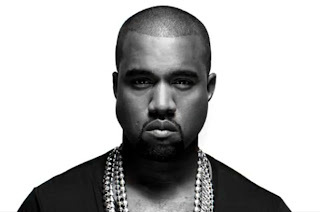 The BBC had reported that the Rapper had intended to name his his album "I am a God", in addition to naming his unborn child "North" Huffington post believes the title "I Am A God" is supposedly going to be the title of a single from his next album according to an insider from Kanye West's camp. The title "I am a God" is a reference to a verse from the bible in the book of Psalms chapter 86 verse 6. And this has been confirmed by Malik Yusef, a songwriter for Kanye West in a tweet.